While definitely very sleek, stylish, and sophisticated, monochrome design isn’t typically the first thing that pops into your head when you’re thinking about kids bedrooms. Heavily inspired by that awesome Scandinavian design styles, families around the world are giving the uber cool monochrome look a try. When combined, black and white make up a bold color scheme that is often associated with fancy black tie events and modern, but not entirely kid-friendly, home decor. If done correctly, a simple monochrome color scheme can turn any child’s bedroom into a beautiful dreamscape. 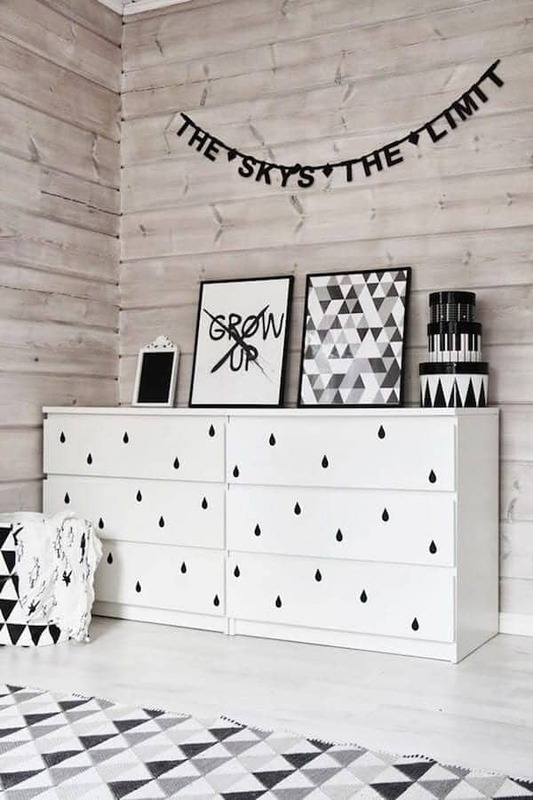 Perfectly gender neutral and much easier to put together without all the color matching and paint mixing, these monochrome kids rooms prove one and for all just how fun black and white can be. While all of the decor in this bedroom is monochrome, from the adorable dresser decals to the chic area rugs, the walls of this child’s bedroom add a little something different. The slightly rustic nature of the wood paneled walls perfectly offsets the modern furniture and color scheme. This fun bedroom may not be bursting with colors but it is definitely full of creativity. Find fun, boho0inspired DIY projects for every room in your home at Boho Decor Chic. As long as the place is soft, warm, and filled with love, babies aren’t usually too discerning about where they sleep. Which makes undergoing the process of decorating a new nursery that much more fun for mamas everywhere. This gorgeous space is simple, open, and full of light, while the monochrome color scheme and minimalist decor work perfectly together, the little rose gold accents add an unbeatable flair. 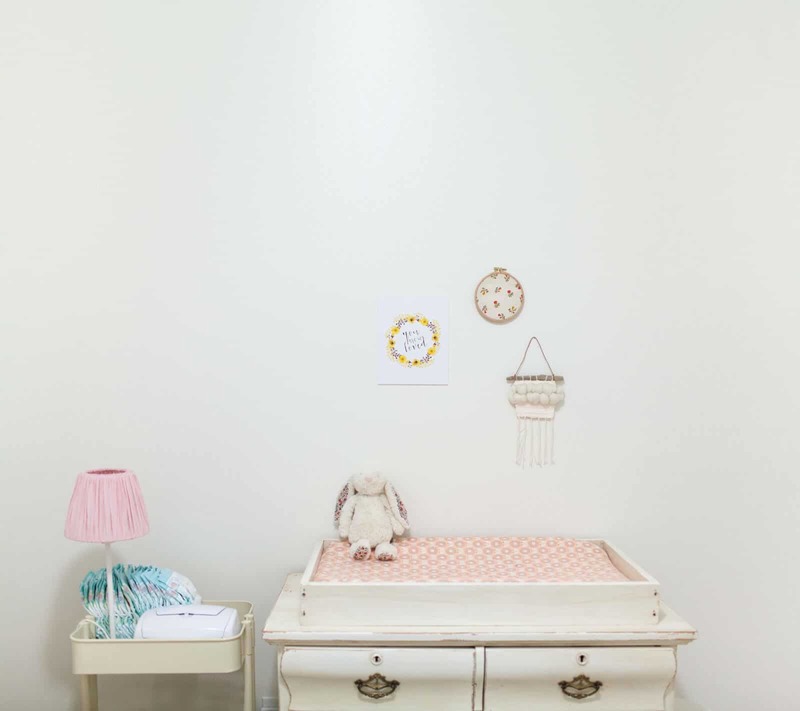 Head over to Mini Style to find great inspiration on designing your little ones’ favorite spaces. Toddlers are very picky people. Their favorite colors, foods, books, and toys can change on an hour by hour basis, which makes decorating for them a little difficult. Monochrome design makes the task a whole lot easier. The adorable little toddler bed is topped by simple black and white sheets while the white walls are covered in easily removable but no less adorable lights and decor. 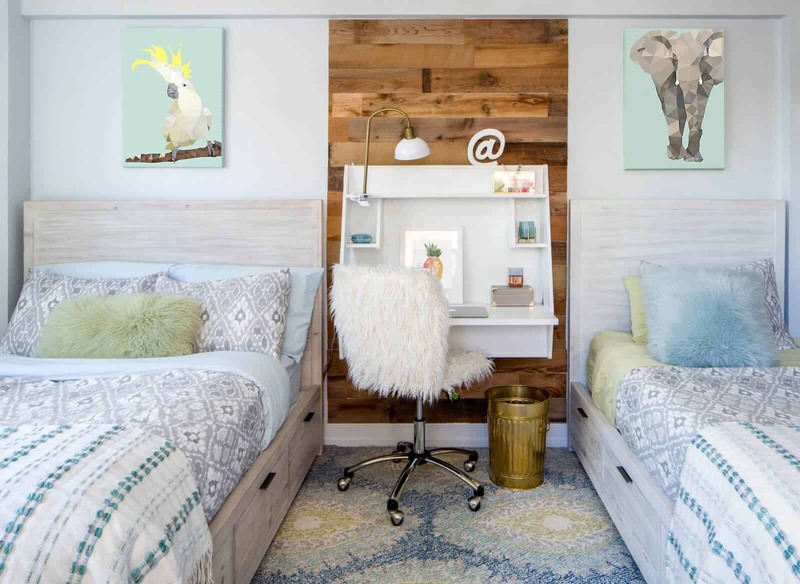 Everything in this bedroom is awesome and well put together but also easily changeable for renters and parents with children who change their minds often. The Little Design Corner is full of tips and inspiration for creating your dream house all on your own. When you have two or more children with different personalities sharing a sleeping space, finding the perfect theme and decor can be a nightmare. While you always want to showcase the different personalities and interests your kids have, filling one bedroom with tons of different colors and items is a design nightmare. 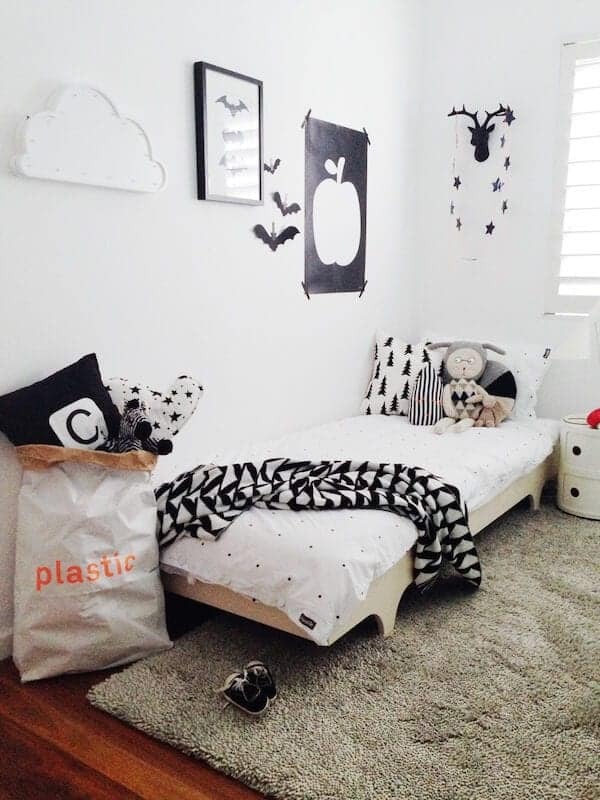 This mom perfectly utilized monochrome in her children’s room to add a little bit of uniformity to her little ones’ differences. Find all kinds of fun, ethically made clothing for you and your kids at Whistle & Flute. Who says black and white can’t be playful? Even when controlled to a simple two-toned color scheme, this bedroom can’t help but give off fun vibes. 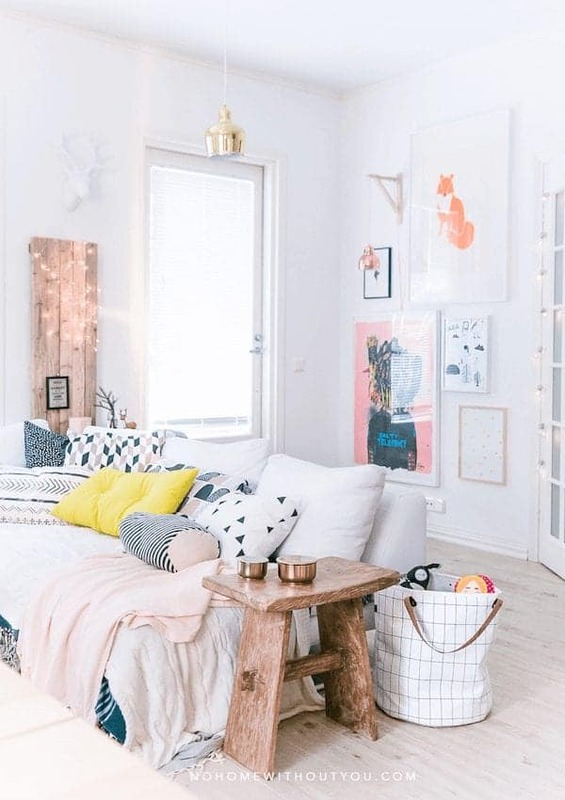 From the gorgeous starry wall decals, to the giant Leggo pieces, to cool light fixtures, this room perfectly toes the line between simplistic and downright amazing. 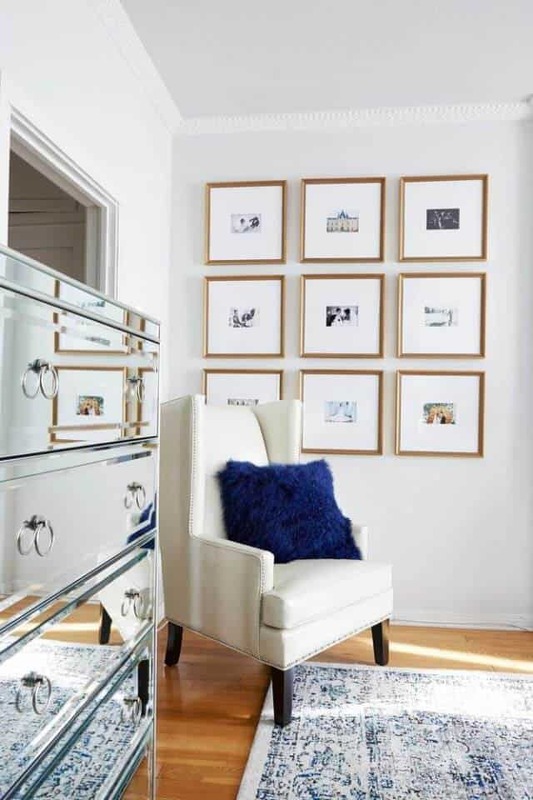 Find gorgeous home galleries, design tips for your own space, and more at Apartment Therapy. 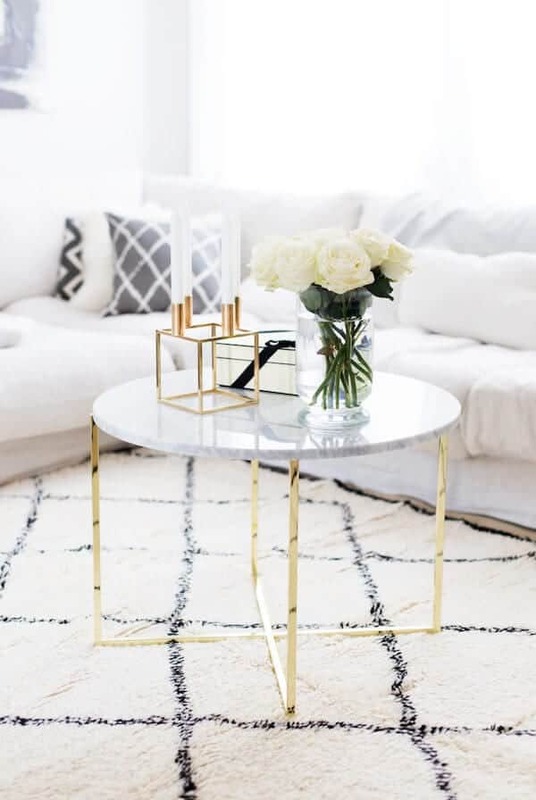 It doesn’t take much to add a little bit of glam to any space, especially when that space is already outfitted with monochrome decor. From the huge fuzzy chandelier to the simple gold ottoman, this bedroom is the epitome of stylish and classy. Get tips for hosting great parties and inspiring wedding galleries at Style Me Pretty. Adorably dark raindrop wallpaper, a play table right next to the bed, and all the toys a kid could possible ask for, this bedroom is a paradise. The design definitely takes risks by mixing horizontal stripes with tear drops and other shaped but it totally works! 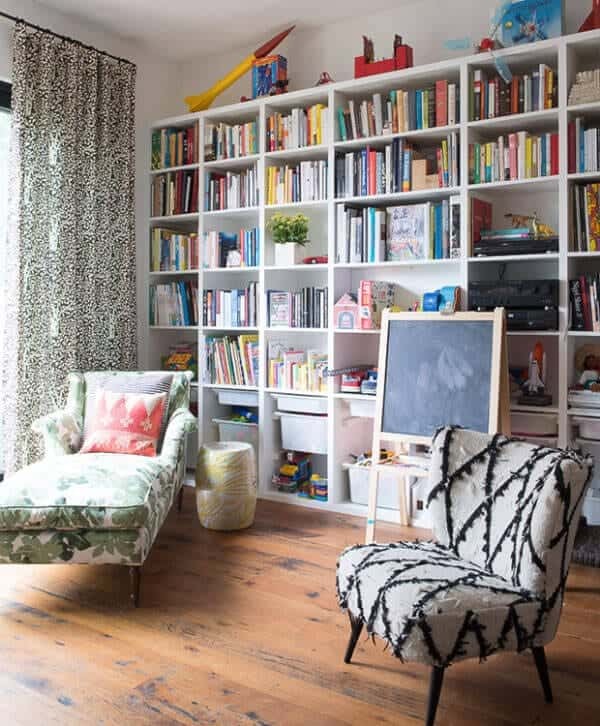 Everything about this fun room screams kiddie castle! Find more inspiration for every aspect of your home at Apartment Therapy. 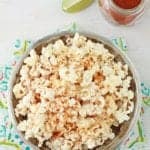 Next article You’ve Got To Try These 12 Popcorn Recipes For National Popcorn Day!